Wow! What can I say... I feel so lucky to have been to the magical, one happy island of Aruba. Nestled in the Caribbean sea and an island belonging to the Dutch Caribbean, Aruba is simply out of this world. I always wanted to visit this great island and thankfully I had the perfect opportunity to do so. I have visited several unique places, but I think none can compare to the amazing island of Aruba. It is so perfect in many ways, that I even created a fine art photo series of this beautiful island: Tropical Silence. I'm being approached with more and more questions concerning what camera I shoot with, how I choose a subject to shoot and techniques I use. In response to these questions, I am very happy to write this blog to answer them, as well as to also share my own unique experience on this one happy Island! You can find the details underneath each photograph. In my opinion the island of Aruba and its diverse landscape, really offered me a great opportunity to shoot images that were rich in colors. I had the chance to visit a lot of great locations on the island. This provided me with the chance to capture images with subjects I love so much: spectacular sunsets, amazing wildlife and endless colorful beaches. I travelled to Arikok National Park, which is situated towards the centre of the island, with a guide. The national park covers around 20% of the whole island and is a unique landscape, comprising of rugged terrain, desert-like hills filled with beautiful cacti and a great coastline, which is protected by a variety of local flora and fauna. I walked across the unique landscape, guided by a local guide. He pointed out the many variety of plants and reptiles that are found within this location. As the landscape was like a desert, capturing the contrasts in colour and the amazing cacti, was a must. It certainly become more and more challenging, as the heat and bright sunlight played its part. The beauty of small Boca Prins beach is so perfect. I loved this spot, with soft sand, hearing the waves crash upon the rocks, scattered along the shore. With the light colors of the shoreline and the blue tones of the sea this was a party on the camera. I could really experiment with my captures. Within my travels and landscape photography I always seek every opportunity to capture the moment and I prefer to take images as I see it unfolding, rather than try to engineer a moment or opportunity to shoot with. For me the island presents great opportunities throughout to challenge yourself and take advantage of great moments in time. The color tones change every minute and gives it a great sense of warmth and peacefulness. Once captured, the feeling of ultimate relaxation came over me and it was time to sit back and enjoy the sunset. Traveling around by car certainly helps you to see and appreciate all there is to offer. 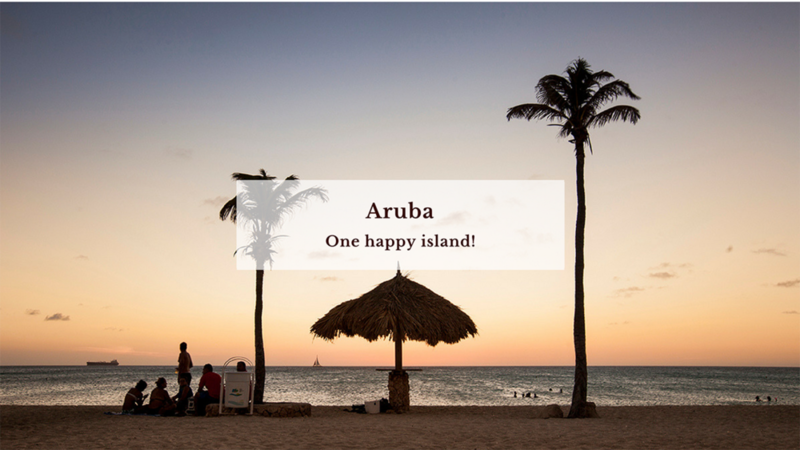 Aruba, the one happy island does its very best to make you happy, that is for sure. I drove towards Mango Halto, where the crystal-clear blue waters are so inviting, encouraging you to just jump in and take a dip. Many locations are enticing, with hand rails and steps leading you into the tranquil waters. I personally found the waters located on the south east of the island so inviting. With the contrast in shading, clear and visible. A noticeable difference as you look from the relatively clear and shallow foreshore, out into the darker blues of the Caribbean Sea. Secluded beaches are all around Aruba. The South East coastline is not only home to some stunning, remote beaches, but it is also surrounded by spectacular nature. Again, I love to work with contrasts and I loved to see the colour mix from the sea, sand and mangroves. Within my photography I love to focus on nature, but I'm also very interested and intrigued by people. Traveling around the island, you really get to experience the chance to meet some of the wonderful and friendly people the island has. By the side of the road I stumbled across a sweet couple selling coconuts from a refrigerator, the man was feeding two donkeys. A great scenery and as I was rather thirsty (as you are on a warm island), I immediately stopped the car to take a picture and buy a refreshment. He chopped a hole in the top of a coconut and handed it to me with a straw. It was divine! I love coconut water, but thisâ€¦â€¦! Such happy people and so appreciative of life. Enjoying what they have and appearing to not desire much more. Maybe it is down to the weather or their beautiful surroundings they see everyday, but it certainly inspires you to look more positively on the things you do, day to day. The Flamingo beach was another location I had high on my list. Prior to visiting, I had seen images of flamingos on a white beach with clear blue waters, and was looking forward to capture such amazing tones together. Renaissance Resort Island, a private tropical retreat with white sand beaches and crystal clear waters. The private island (which belongs to the Renaissance Resort) offers everything you want, but to see these colorful and stunning creatures there, is remarkable to say the least. During my visit in Aruba, I stayed at the wonderful Paradera Park Resort, where I had an amazing stay in a wonderful accommodation. My stay was so comfortable, it had everything I could ever dream of! Situated very practically in the centre of the island, it was never far going back for this great retreat. The Resort is owned by a friendly Dutch couple, Debbie and Henk. They made me feel so welcome from the first moment I stepped into the door. I got 3 fantastic tips where and about to go on the island, they know every path on the island. All you need to relax is actually just here. Enjoying a barbecue while drinking cocktails after a swim in their tropical gardenâ€¦after a day of running back and forth on beaches I can tell youâ€¦it was divine! One of their tips was to visit the south-east part of the Island where you find a lot of goats hiding behind cacti. As I am always keen for some wildlife photography, this was even more fun than I imagined! They were walking on the road, and by the side of the car. Make sure you drive slowly while passing these sweet creatures. Don't forget to bring your telelens to capture these great models! Another tip from Debbie and Henk was to catch the sunset at Arashi Beach. Located on the Northwestern side of the island, this is a rather quiet beach, where can enjoy the many tropical fish while snorkeling through the clear waters. But also look out over sea watching the pelicans roaming free catching fish while enjoying a relaxing swim. A real gem! Make sure you also pay a visit to the near located California Lighthouse. From there you can see the most spectacular views of the island! But don't forget your tripod, as you may want to capture the colors of the lights agains the lighthouse, it is a great sight at twilight. 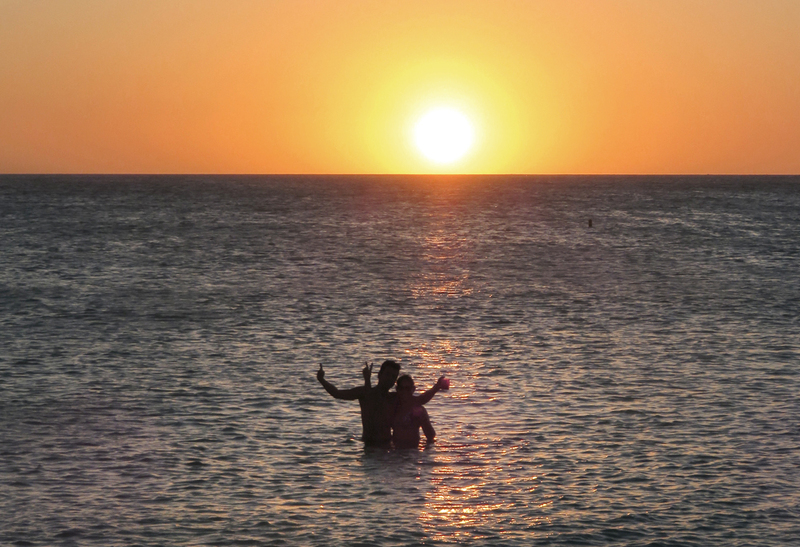 With another sunset, my Aruba adventure came to an end. With many pictures shot, I am glad I can still relive the great atmosphere of the island. One thing is for sure, Aruba should definitely be on your bucketlist! This blogpost was written in collaboration with Aruba Tourism Netherlands. If you would like to find out more about the Island, then please visit Aruba.com.